While I am writing, I am far away; and when I come back, I have already left. I should like to see if the same thing happens to other people as it does to me, to see if as many people are as I am, and if they seem the same way to themselves. When this problem has been thoroughly explored, I am going to school myself so well in things that, when I try to explain my problems, I shall speak, not of self, but of geography. When I was a freshman in college, one of my suitemates studied Spanish and, occasionally, she would pull out her copy of Pablo Neruda and read a few lines aloud, gushing about how he was the most romantic poet ever and how his poetry gave her goosebumps. Both friends who would be in the room with us and our other suitemate would agree. Maybe it was my lifelong bias towards poetry (I’m working on it, people! ), but, besides a few absolutely gorgeous phrases and lines, I really didn’t see it. I just didn’t get the appeal of Neruda. But rather than be the one wet blanket in a room full of Neruda-lovers, I kept my naysaying to myself. Flash forward more than a few years and I felt that today’s quote could be nothing other than Neruda. 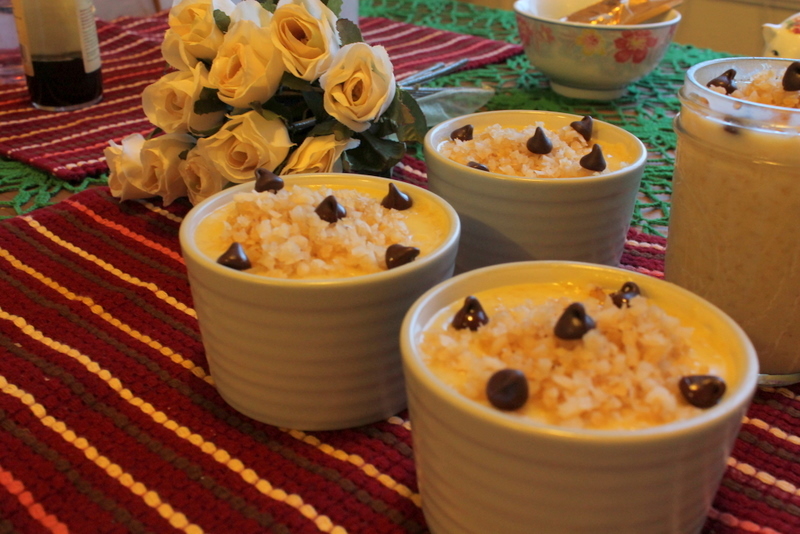 Certainly, this has nothing to do with toasted coconut pudding. Nor does the quote have anything to do with romance on this most romantic of days. What can I say? Neither my dissertation nor my adviser probably really cares much for the fact that this is the day of St. Valentine. I still, however, adhere to the belief that there should always be time to pause (however briefly) and celebrate. I do sometimes find that as soon as I close the computer or go and do something else–mundane things like dusting and the dishes, or peeling a hard-boiled egg–that that’s when things come together. I often feel that the limbo space between action and inaction is my most productive moment. Which is why I say there’s always time for dessert. Stirring milk and sugar together has led to many brilliant (and not so brilliant) ideas. Some would even argue, myself included, that it is itself a marvelous idea, especially when mixed with corn starch, freshly toasted coconut (all thanks to the Greek’s coconut cracking abilities; unlike me, he didn’t put a dent in our dining room table) and vanilla. Adding chocolate chips to the still hot pudding and watching as they take on a glossy sheen only add to the splendor of your temporary escape. Which is why, after I write this post and do a little more work, I’m taking the night off and letting butter, sugar and other guilty pleasures rear their decadent little heads. I recommend you do the same. This pudding is a good way to start. I got this recipe from my grandmother, who recommended that, rather than dirty a pot, I try a recipe she had for the microwave. I was skeptical, but it was delicious and easy. Surprisingly, my pathetically weak microwave was up to the challenge. 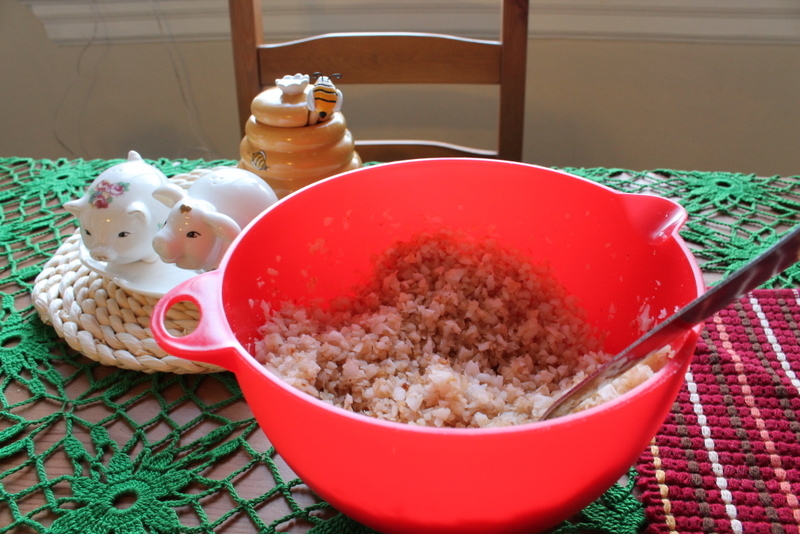 -Toast the shredded and slightly sweetened coconut in either a skillet or in the oven. If you prefer the former, use medium heat and stir frequently, or until golden. If the latter is the method for you, spread the coconut on a cookie sheet and bake at 300 for 20 minutes, stirring every 5 minutes. Once toasted, remove from heat and set aside in a bowl. 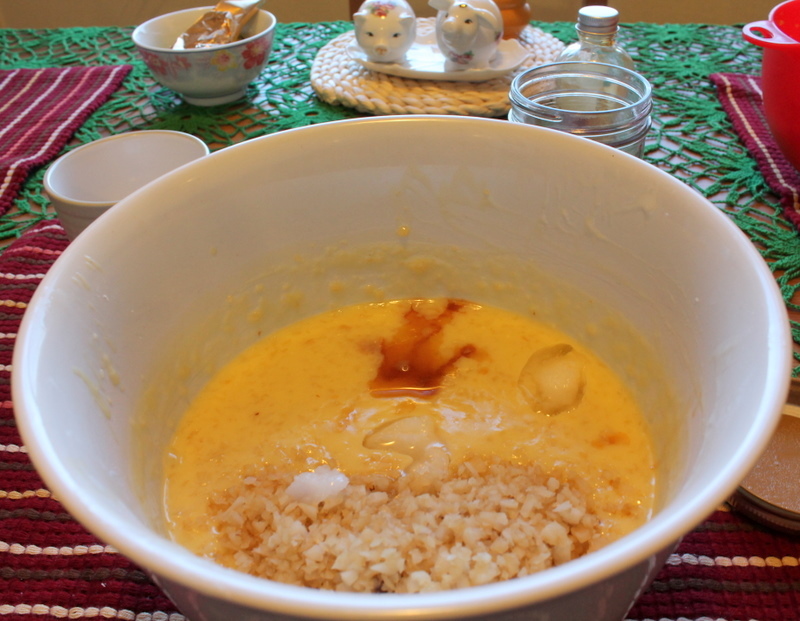 -In a microwave-safe bowl, mix together the milk, sugar, cornstarch and salt. -Place on high in the microwave, setting the timer for 12 minutes. Every three minutes, you should open the microwave and stir the mixture until it thickens (you will know when it is ready because it will coat and stick to the spoon you’re using). -In the meantime, add three egg yolks to a medium-sized bowl. -Once the mixture has thickened, add 2-3 ladles worth of the milk mixture to the egg yolks, whisking the whole time (you don’t want the egg to curdle). -After the mixture is frothy, pour it back into the milk mixture and add half of the toasted coconut. -Microwave for another 3-4 minutes or until the pudding looks glossy. -Remove from the microwave and add 1 Tbsp. coconut oil (or butter, if you prefer) and 1 tsp. vanilla. Add in about 2/3 of the remaining coconut. -Stir the pudding together and pour into ramekins or small bowls. 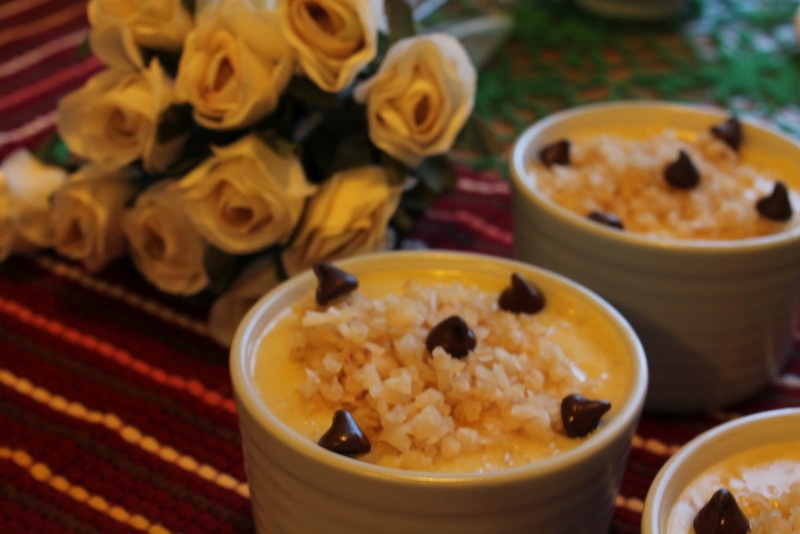 -Garnish the top with the last of the coconut, as well as a few chocolate chips for both color and flavor. -Cover with plastic wrap, touching the wrap to the pudding so that a film doesn’t develop. -Let cool. Eat at room temperature or refrigerate. Savor the magic. These look delicious; I can hardly wait to send the recipe to my coconut-crazed sister! I wholeheartedly agree about keeping a little time for celebration — and dessert! And I'm thrilled that I finally figured out how to comment on your blog (I know, I know: it's a rookie thing).